Have you seen Lissa Alexander's newest book? It is called Oh, Scrap! and it has just been published by Martingale. 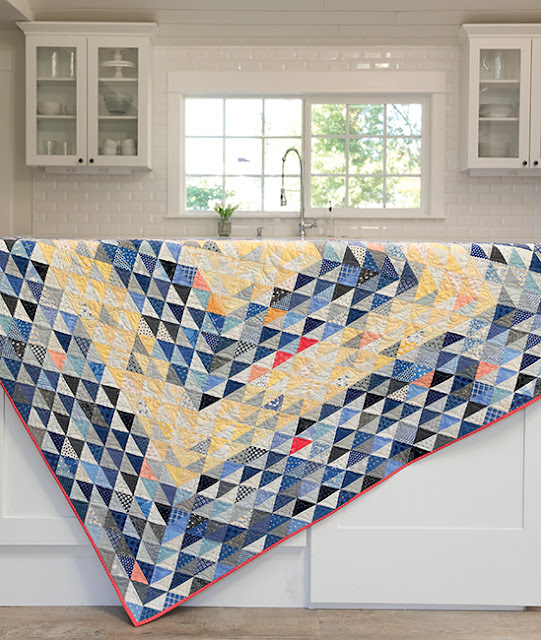 It is a whole eye candy store in one neat package: 12 projects designed specifically with our scrap stash in mind. Not that our drawers, bags, and bins are overflowing with pieces of fabrics. Right. As I looked through the book's pages, I kept remembering all the orphan blocks, many-sized strips of fabrics, and pieces of favorite fabrics I cannot bear to throw away just waiting for... this book! 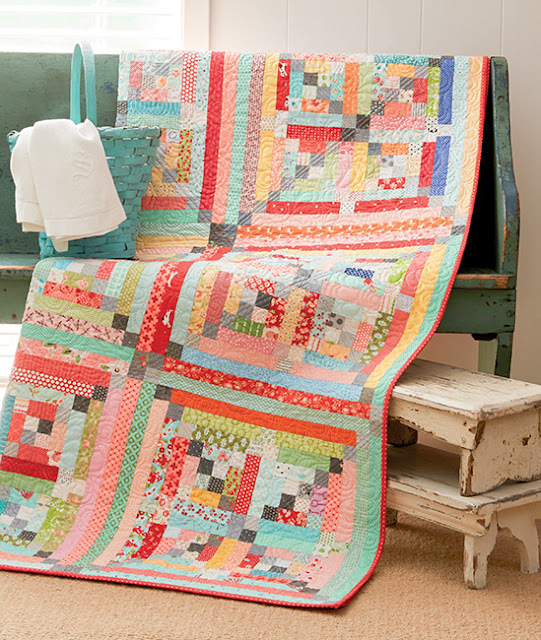 Lissa's designs don't just put scraps together - she arranges them in innovative patterns as if each piece had been carefully curated for placement in a particular spot in the quilt. We can all make scrappy quilts but it takes a special talent and more than 30 years of creating to assemble them into works of art. Lissa makes it easy for us all to make masterpieces. Oh, Scrap! 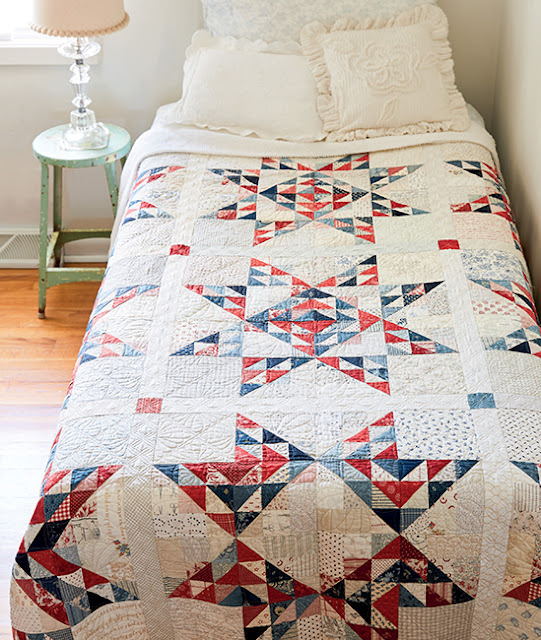 illustrates the importance of minding value, texture, and placement of fabrics to turn a quilt from beautiful to fantastic. The expertly written instructions ensure we can reproduce these projects and move our scraps from the darkest corners of our fabric 'collections' into the daylight, adorning our homes or making other's homes brighter. Traditional blocks are anything but when we use scraps and a few fabrics which read as solids to rein them in and make a quilt which is colorful yet not chaotic, bright yet not flashy, economical but not cheap looking. Lissa Alexander, in fact, might be bringing peace to our minds as we can finally use most of our scraps from 100% high-quality quilt fabric, 100% paid with gold and silver, at times risking the health of our own marriages, which may or may not have been left in the trunk of our cars until everyone was asleep before we snuck them into the house. That kind of peace of mind can't be found just anywhere! There are plenty of tips throughout the book to help us make the projects and improve our workmanship. I mentioned in a recent video that one of those tips alone saved me a ton of stitch-ripping time. Thanks, Lissa! 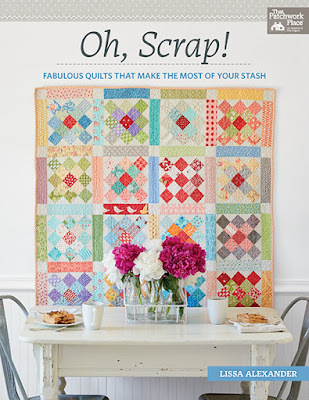 Barbara Brackman wrote a terrific preface to Oh, Scrap! 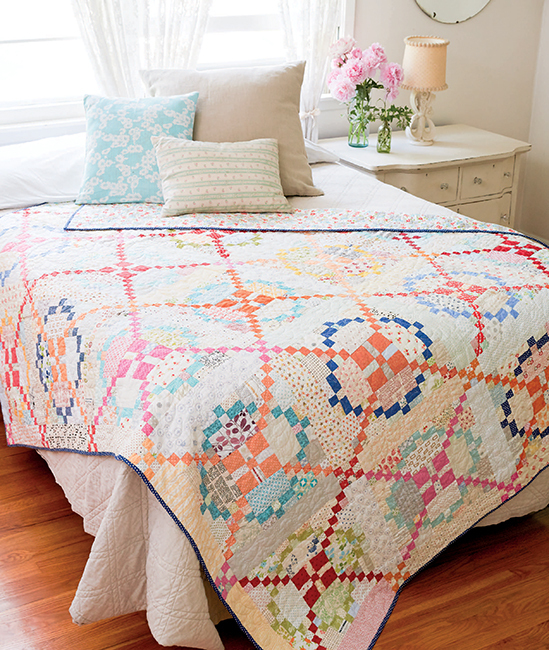 about the history of scrappy quilts. I felt comforted as I realized I am a member of a time-honored group of quilters whose beginning dates from the 18th century. Yes, I can proudly say I am not just 'hoarding' scraps, I am safe-keeping them for my next, soon-to-be antique and valuable quilt. I have the pleasure of reviewing amazing books published by Martingale. I am yet to be disappointed by their books... and this one has been a delight to read from cover to cover. 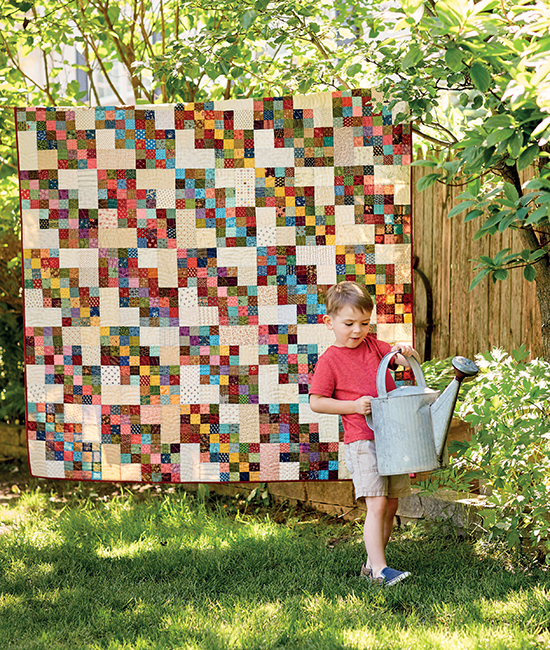 I'll need this one for all my charity quilts. Denise, thank you for the review. Do you know if there will be a blog hop or some such online event for the book!? I do love when you get to see various interpretations of a talented quilter's book.